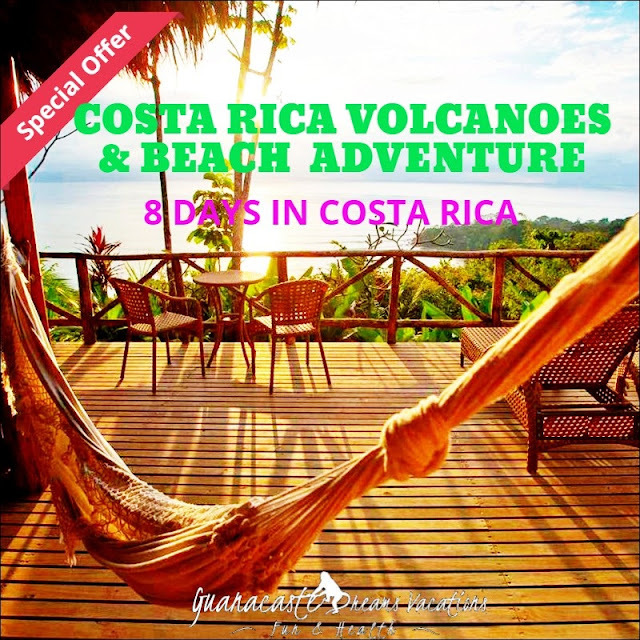 Welcome to PACIFICO in Playas del Coco, Guanacaste, Costa Rica. A short 20-minute drive from the international airport in Liberia with direct flights from the U.S. This gated, guarded, exquisitely planned resort community is as exotic as the natural beauty that surrounds it. 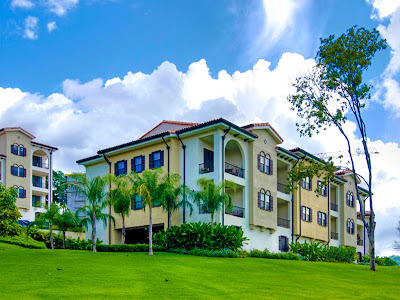 PACIFICO owners and guests enjoy many resort-style amenities including a private Beach Club with Restaurant & Bar; Health Club & Spa – with tennis courts and commercial conveniences that include The Auto Mercado Center and The Village Shops. PACIFICO. 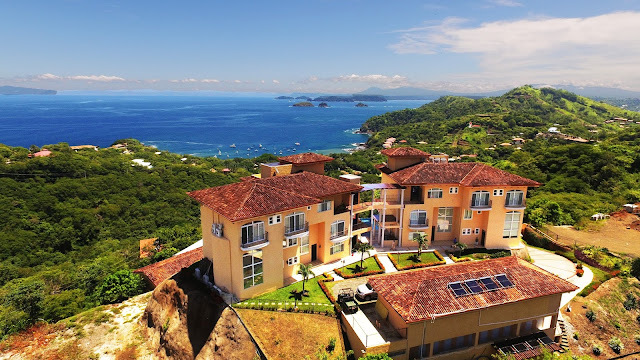 A luxury resort community built to the highest U.S. standards offering it’s owners & guests the opportunity to experience the incomparable Costa Rican lifestyle. Located steps from The Village Shops & Auto Mercado Center, Lifestyle Residences are available in one, two, or three bedroom floorplans. Each Lifestyle Residence offers upscale interior features including custom cabinetry, granite or quartz countertops, Kohler fixtures, imported ceramic flooring and wall tile and full appliances. These luxurious condos are just a five-minute walk to Playas del Coco restaurants, the beach and Pacifico’s own shopping center. Enjoy the botanical overlooking the oversized lap pool or relax inside the bright, open living/dining room area. 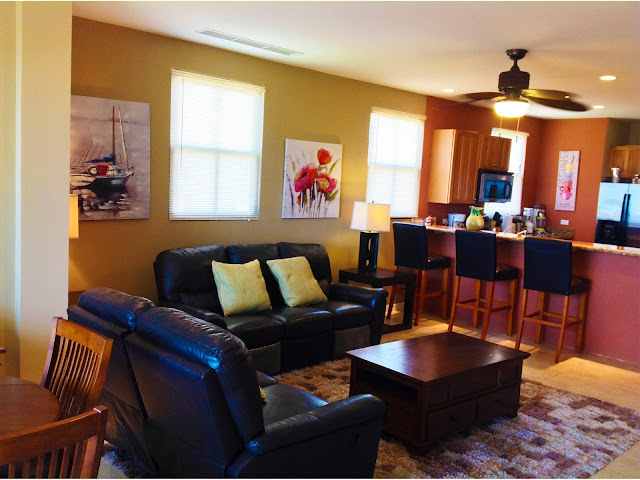 The fully furnished 2 & 1 bedroom, 2 & 1 bath condo have new appliances, granite counters & bar, central A/C, washer/dryer, wireless Internet, parking and security. The terrace overlooks the impeccably manicured gardens and pool and all the amenities you will need. As a guest of Pacifico, temporary membership to the exclusive Pacifico Beach Club is available during your stay for an additional $50 a week (per condo) or $100 per month. The Beach Club is located around 1 mile from the community and free shuttle is provided every day. Walk to the Beach / Restaurants and Shopping / Nightlife / Resort Amenities / Flat Screen TV/Cable / Internet / Central A/C / Laundry Facilities /Gated Community / 24 Hr. Security. Beautiful 2546 square foot townhouse, located at the exquisite Pacifico Resort in Playas del Coco. 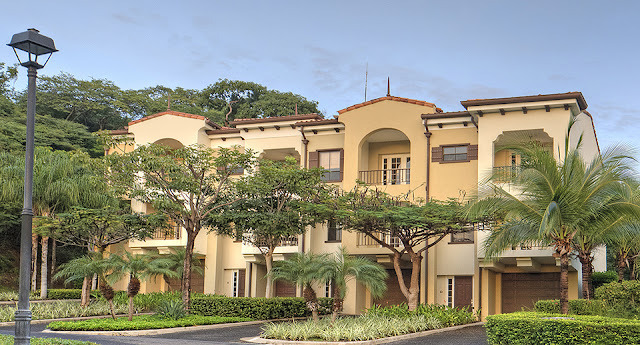 Only 25 minutes from the Liberia International Airport along the Gold Coast of Costa Rica's famous Guanacaste Province. This townhouse offers four bedrooms and four baths, ocean and mountain views, open living spaces and all the amenities that will make feel at home. On the first floor there is one bedroom with queen size bed and private bathroom, access to the garage plus a laundry area. As you walk up to the second floor an elegant living space will welcome you to relax and enjoy family & friends time. This area has easy access to the balcony were you can sit back and enjoy the view. In the kitchen you will find everything you need to prepare and serve meals. 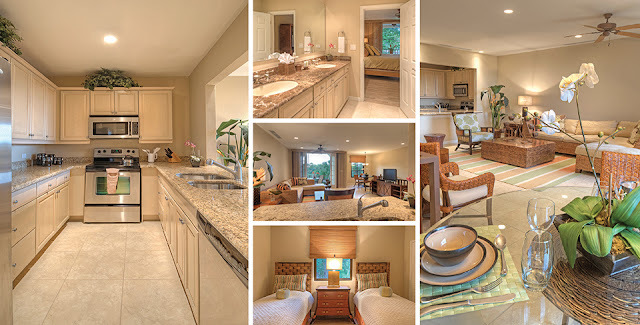 The kitchen has granite counter tops and is equipped with stainless steel appliances. On the third floor you will enjoy a master bedroom with king size bed, walk in closet, private bathroom and balcony. 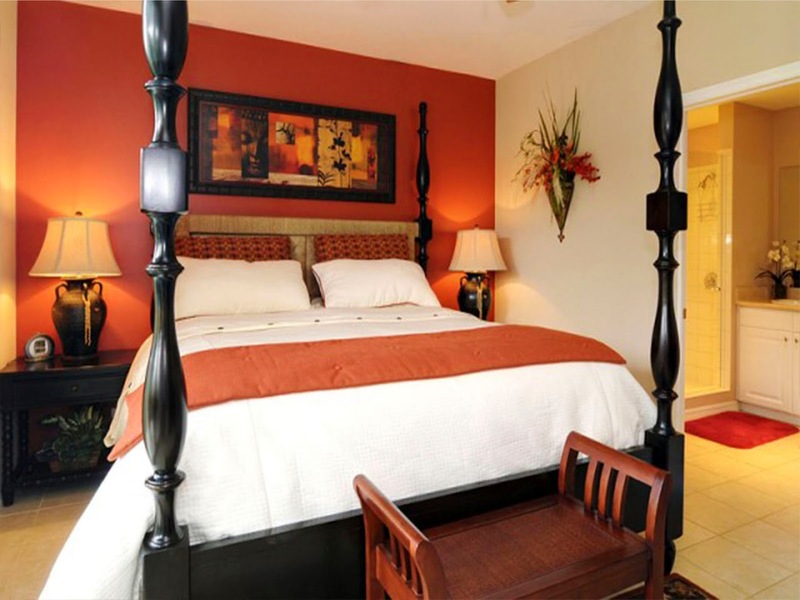 The fourth bedroom is just steps away, it features two double beds, plenty of storage space and private bathroom. While staying in townhouse indulge yourself at the Pacifico Beach club where you will find a complete bar & restaurant and two pools right on the ocean. Beach Club membership is only $100 extra per week for all guests staying in TH. Pacifico is a gorgeous resort development with lush tropical landscaping and beautiful pools located only ten-minute walk to Playas del Coco restaurants, stores, supermarkets, the beach and Pacifico’s own shopping center. 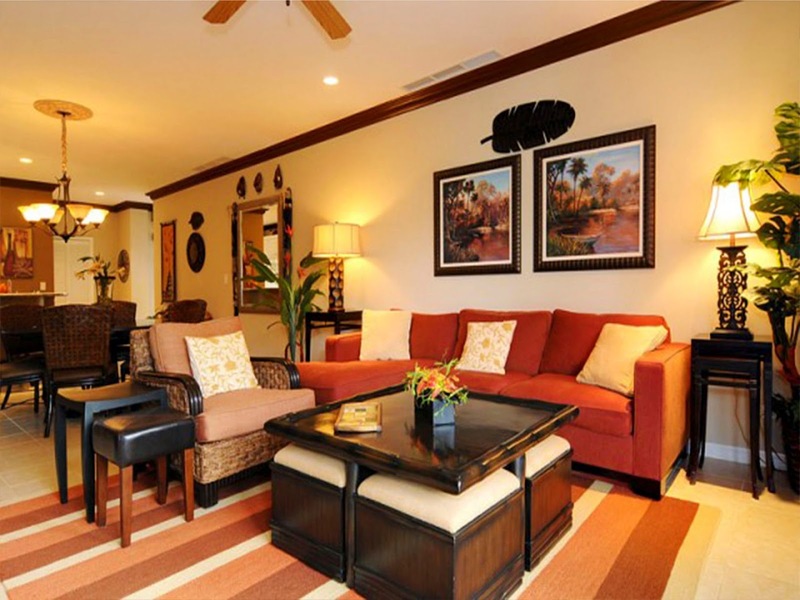 PACIFICO has to offer in a two or three bedroom Clubside Residence. Located steps from the Health Club & Spa. These luxurious condos are just a five-minute walk to Playas del Coco restaurants, the beach and Pacifico’s own shopping center. 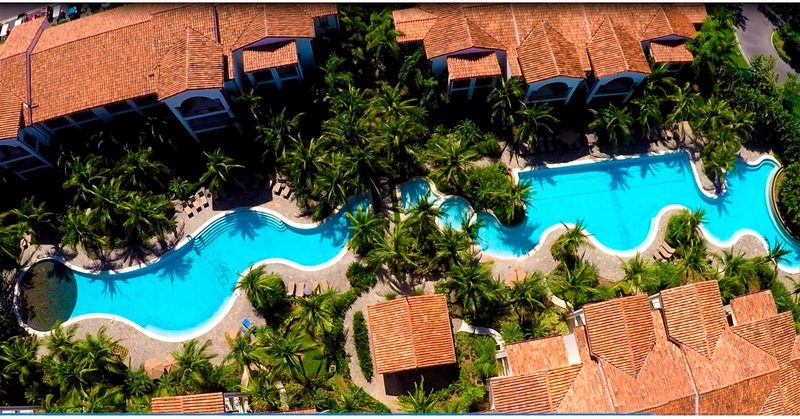 Pacifico is a gorgeous resort development with lush tropical landscaping and beautiful pools. 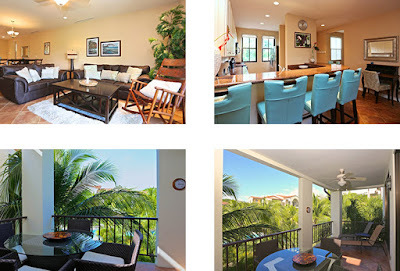 The condos offers a stunning view of Playa del Coco from the living area and master bedroom as well as the large balcony. Brand new and beautifully decorated, these 3&2 bedroom, 2.5 bath condos have granite counters & bar, central AC and washer/dryer, wireless Internet, parking and 24 hr. gated security. The master bedroom has an exquisite king size bed and a luxurious bathroom with a deep soaking tub and walk-in shower. There is plenty of closet and drawer space for extra personal storage. The second room has a generous closet and a queen bed. The third bedroom which is also set-up as a den has a sofa bed and a closet for storage too. All of the bedrooms are nothing short of extraordinary. The spacious floor plan sleeps 6 guests and offers an open living, dining and kitchen area perfect for entertaining or just relaxing. As a guest of Pacifico condos, temporary membership to the exclusive Pacifico Beach Club is available during your stay for an additional $100 a week (per condo). The Beach Club is located around 1 mile from the community and free shuttle is provided every day. Ocean View / Walk to Beach / Garage Parking / Beach Club / Restaurants and Shopping / Nightlife / Resort Amenities / Flat Screen TV/Cable in Living Area and Bedrooms / Internet / Air/Con / Laundry Facilities / Gated Community / 24 Hr. Security.